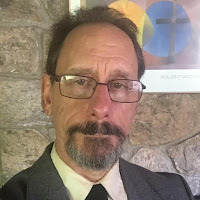 Charlottesville, Virginia: I went to nursery school there when my parents were graduate students, and I returned there in adulthood as a graduate student myself. During both the pre-school and post-graduate stints, I attended Charlottesville's Thomas Jefferson Memorial Church - Unitarian Universalist. Many TJMC-UU members were among the counter-demonstrators last weekend. The combination of the large University and the nonurban southern setting makes Charlottesville a logical place for clash between strong feelings for and against Confederate monuments. 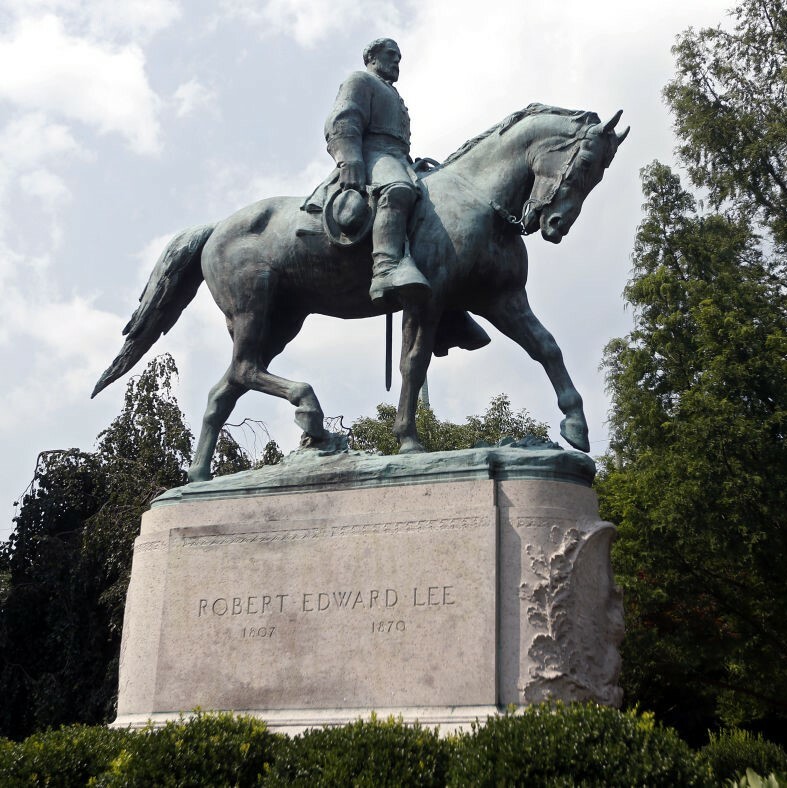 I didn't remember that Charlottesville had a Robert E. Lee statue. I grew up in various southern towns, most of which probably had Confederate Monuments, though I scarcely noticed. Carrollton, Georgia, where I lived from 4th-grade through high school, had a generic Confederate soldier statue in front of the courthouse, though I have had to cudgel my memory to recall it. (A quick internet search confirms it is still there.) As a child, what did I think of this? Not much. I remember most that Carrollton's statue faced north, serving notice that northerners were seen as enemies. Since my parents were northerners -- and my accent differed from most of my peers -- the statue was one more way I was made to feel not at home. 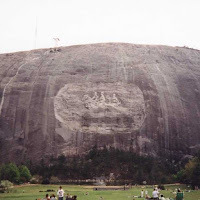 While Carrollton's generic soldier statue was easy to ignore, the bas-relief sculpture in the side of Stone Mountain, 90 minutes away in a park we sometimes visited, was more impressive. It is enormous and depicts three particular men on horseback: Jefferson Davis, Robert E. Lee, and Stonewall Jackson. When I try to recollect what would have been going through my pre-teen brain as I looked at that display, I don't come up with much. I suppose I had some dim apprehension of the white supremacist message, but, immersed as it was in a white supremacist culture, the size of the thing stood out but its racism was ordinary. Anti-racism efforts of the time were focused on de-segregation, and no one, it seemed, was voicing objection to monuments. I'm sorry to say it did not occur to me to wonder how these monuments made my African American classmates and their families feel. These monuments represented neither me nor a threat to me personally. I had the privilege to simply ignore the monuments and what they signified. I'm now thinking more about Confederate monuments than I ever did when I lived among them. I've learned that, as of a few years ago, there were roughly 700 Confederate monuments in 31 states, and they were erected long after the Civil War ended. These aren't war memorials. They are expressions of backlash against Reconstruction. 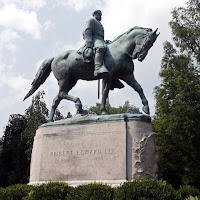 They were erected during the time when the KKK and lynchings were resurgent, and they were unambiguously intended to affirm the supremacy of white people against a threatening possibility of racial equality. Original funding was usually organized by the United Daughters of the Confederacy, an organization which has become fairly innocuous in recent decades, but which historically was unambiguous and vociferous in promoting white supremacy and a romanticized view of slavery. 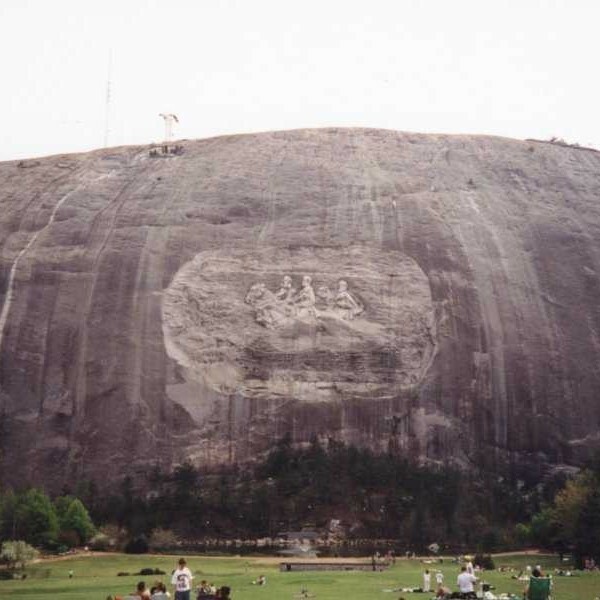 The KKK was also often a significant fundraiser for the monuments (including, for instance, for the one carved into Stone Mountain). We know that these monuments are not about preserving history. We are able to remember the Titanic disaster just fine without building an Iceberg Monument. Monuments are about choosing what to glorify, not what to remember. When US troops in Iraq helped topple the statue of Saddam Hussein in 2003, the defenders of Confederate monuments voiced no objections, no outcry about "remember the history even if we don't like it." That's because they understand, even if they don't like to admit, that monuments don't merely memorialize but aggrandize. The monuments are symbols of white supremacy. That's why African American voices urge that they be removed. That's also why explicitly self-identified white supremacist groups rally to defend them. 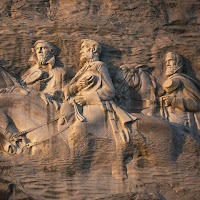 It's time for those of us who are in neither group, and who, like me, have had the privilege and luxury to largely ignore these monuments, to recognize what those struggling most directly against white supremacy, as well as those seeking most explicitly to advance white supremacy, have long understood the monuments to mean. It's time they all came down. You are exactly on point. Thank you for calling out revisionists and speaking the simple truth!! Thanks for sharing this historical Monuments guide with us, the history of this monuments seems really very interesting to read. Great information keep sharing and enjoy Golden triangle tour 2 nights 3 days tour package with a lot of adventure.